Baghera Speedster Black Ride On Car. A real race car! 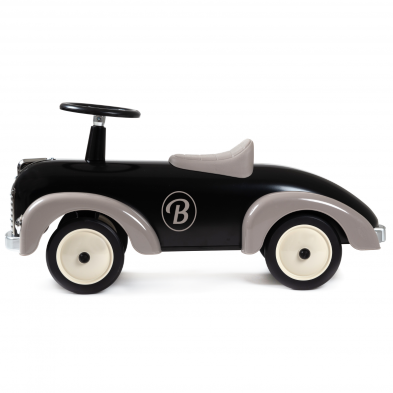 Sleek and stylish children’s ride on car. 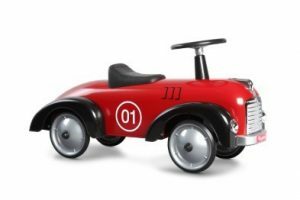 Strongly built in metal with real rubber tyres. 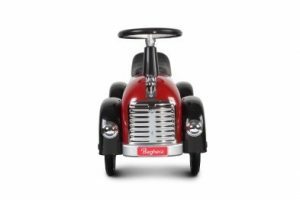 Hands on the wheel, feet on the ground, your child will quickly become a champion! Age range: 1-3 years. Baghera Speedster Black Ride On Car. A real race car! 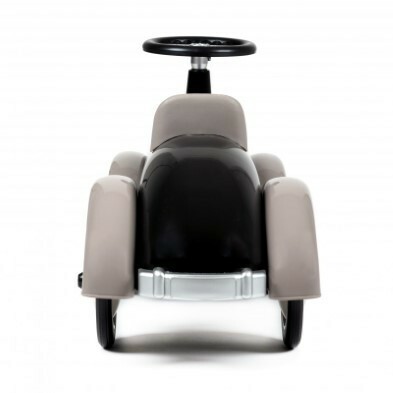 Sleek and stylish children’s ride on car. 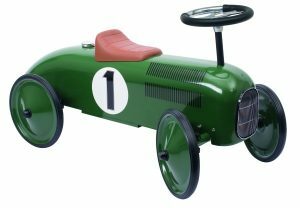 Strongly built in metal with real rubber tyres. Tapered lines and aerodynamic design. Even more – an all metal steering wheel! 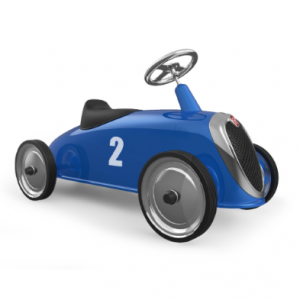 Certainly, young drivers learn motor skills and co-ordination of movement though play. 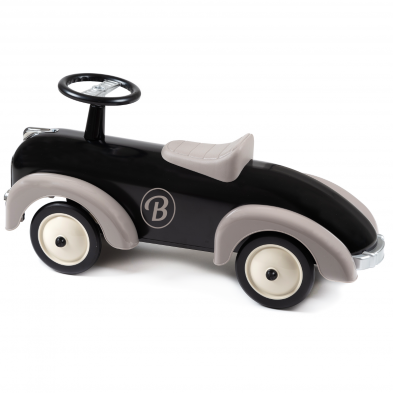 Comfortably installed on Speedster Black, your child will quickly become a driving ace. Very stable and robust ride on. Hands on the wheel, feet on the ground, your child will quickly become a champion! Age range: 1-3 years. 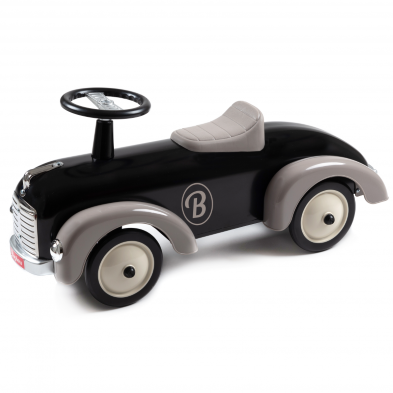 The Toy Centre loves… the new black ride on car! Effortless chic youngster ride on fun.